Take a moment now as you are sitting here, to connect with your spine. Notice how it allows you to orient yourself in space. Notice how it gives you your position and sense of direction in relation to the ground underneath your tailbone and pelvis. 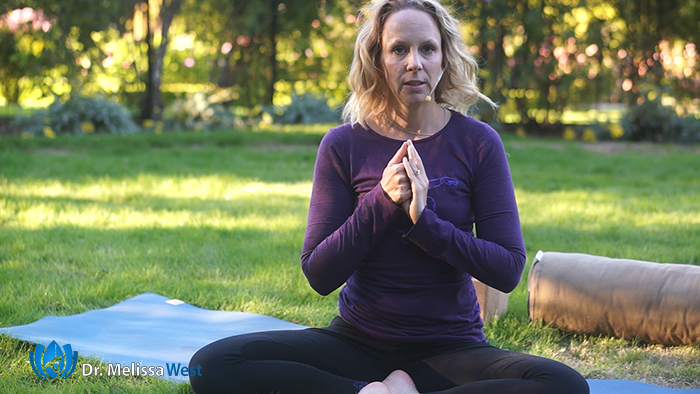 Feel your spine as you sit and allow it to support you fully. As you do so, you may notice that your muscular tension begins to let go. The skeletal support of your spine allows your muscles to release. Spinal mobility and flexibility is also incredibly important. 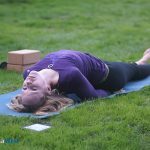 Through the practice of yoga postures, you move your spine through flexion, extension, rotation, lateral extension or side bending, rotation as well as axial extension or decompression as your vertically elongate your spine. In several of these movements your spine elongates and lengthens. Esther Myers describes your body being divided in half at your waist. Your lower half of your body being pulled into the ground through gravity like the roots of a plant (like we focused on last week with our grounding yoga class) and your upper body is released towards the sky like a stem. 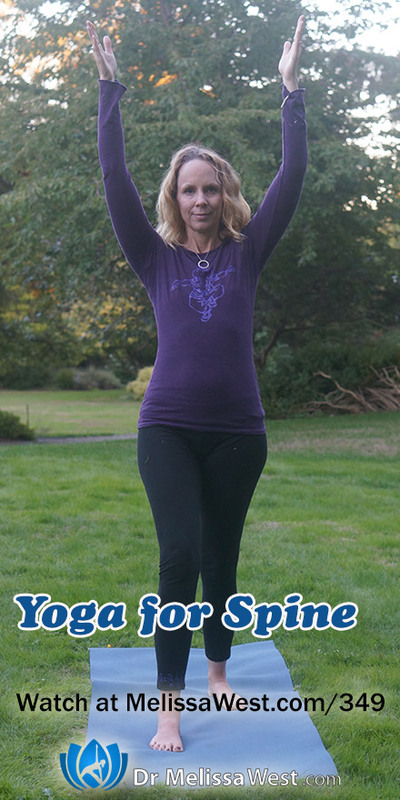 Esther Myers describes the elongation of your spine giving you a sense of direction and where you are going. Feel into your spine right now, ask your spine where it is leading you. Your neck is an incredibly important part of your spine. It allows your head to turn in all directions, opening you to many possibilities, however the opposite is also true. Stiff necks which are incredibly common in our culture may also mean that you don’t know which way to turn or that you can only see the one option that is right in front of you. 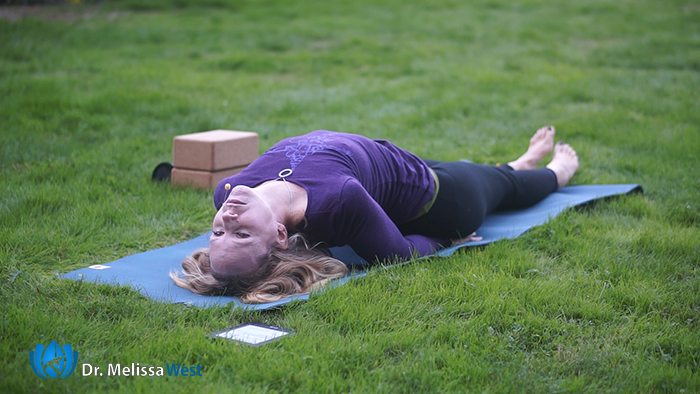 A flexible cervical spine therefore opens you up in a graceful and fluid way to let go of rigidity and embrace going with the flow. Today we focused on your spine. 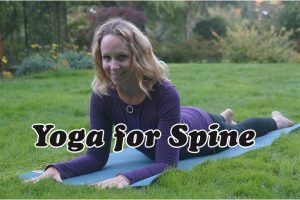 We have a whole series in our membership community for your back, spine, neck and nervous system.